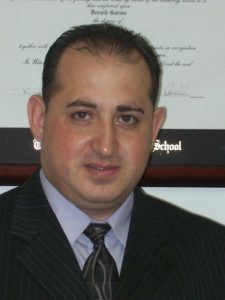 Danny Garmo is the President of the Law Firm of Garmo Law Group, PLLC, in Southfield, Michigan. hundred applications for adjustment of status, naturalization’s and asylums throughout the United States. Syria for the Visa Processing Guide published by the American Immigration Lawyers Association (AILA). for Justice (MAJ). Mr. Garmo is fluent in the Chaldean/Assyrian languages.